OBX Connection Home > OBX Connection Forum > Flounder Recipes?? 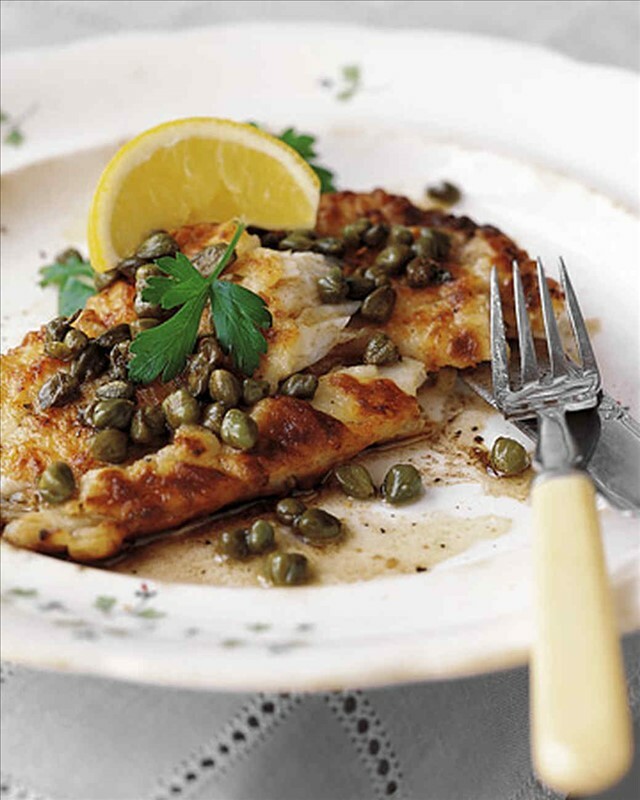 Just wanted to ask if anyone would share their favorite flounder recipe? I didn't see one in the "OBX Recipes" above, and just wondered what might be out there...thanks! I'm old school when it comes to flounder. Lemon juice and some butter. Husband likes it stuffed, but then you gotta make the crab stuffing to wrap the flounder fillet around. If your in the OBX you can get a crab cake at any number of seafood shops (Vicki at Hatteras harbor comes to mind), and use that to save yourself more cooking time. Daughter's fav when she was at home was broiled with olive oil, soy sauce, Ginger and I forget what else...I'll see if I can find it. I like it either stuffed with crab meat, that I hopefully caught both or Sole à la Grenobloise. Same here, but I lightly sprinkle the top with salt, pepper and paprika. ^ yeah, I prefer it old school, too. Basic cooking. Hubs and daughter like the stuffed, and broiled with soy sauce, et al, respectively, but flounder, with its mild flavor, does lend itself to a variety of recipe options. I've never tried it with an egg wash and panko for oven frying, but I bet that would be good, too. Good recipes for sure! Hope some of these can be added to the "OBX Recipes". I Like to marinate in Italian dressing . Then into a hot pan for a few minutes or you can lightly bread it first. I've never tried it with an egg wash and panko for oven frying, but I bet that would be good, too. You just reminded me that House Autry has the best seafood breading mix if deep frying fish. Still love my moms, God rest her sole. Egg wash, plain bread crumbs, and fried light golden brown in a pan with butter,Lemon wedges and tarter sauce, and some fries. Throw back recipe from my younger years. Okay here's an old fishermans recipe which can be used with almost any fish, but no soft flesh fish ( Blues or mackerel). It was used on fishing trawlers to keep the crew well fed, cheaply. Take a small deep baking pan and grease it. Pre cook a bunch of pptatoes and slice thinly. Completely line the bottom of the pan with bacon then a layer of fish fillet then a layer of sliced potatoes. Then continue layering with fish, bacon and potatoes. The top layer should be bacon on top. You can spread some sliced onions in there too. Finish off with a layer of shredded cheese and a sprinkling of bread crumbs. Bake for about 30 to 40 minutes. Not for the diet conscious but oh so good. Bacon makes anything taste good. You can improvise to a Brreakfast dish by putting some eggs near or on the top. Heart Attack in a Bowl. HA! that's my trick for "upscale" flounder dinners. we would go by hatteras docks and get a few crab cakes and just plop them on top of the flounder when we broil them.